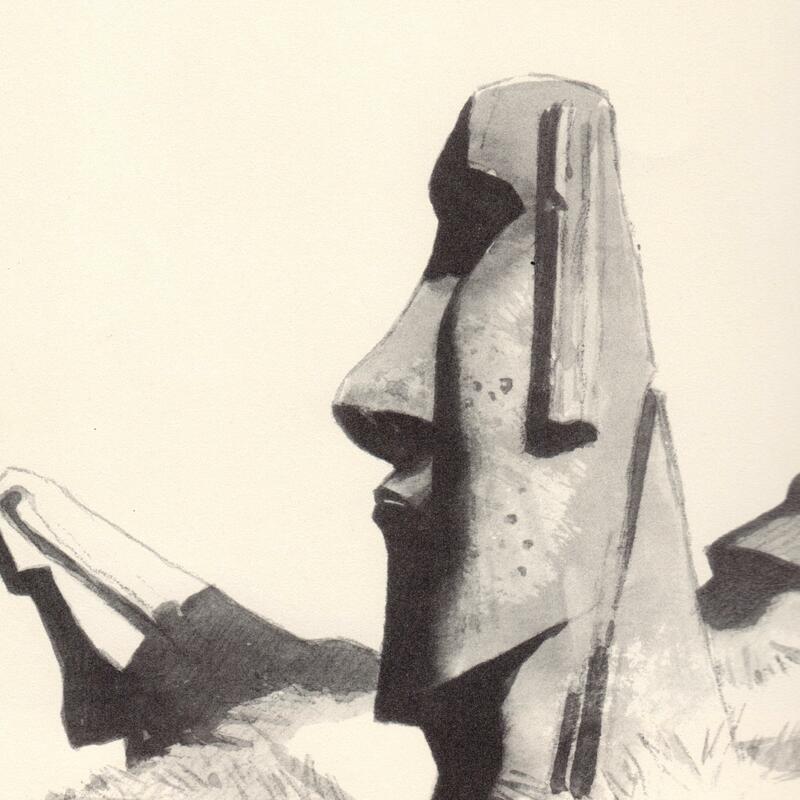 Lone Moai is an experimental dub cabal founded by Kent Sparling, with Myles Boisen and Jeffrey Foster. Their music fuses three distinct musical genres: 1960's-era electronic music such as the work of the San Francisco Tape Music center, Rhodes piano-based out-jazz under the influence of Sun Ra, and classic King Tubby, ET and Scratch Perry-style dub music, circa the early 1970's. Lone Moai is completing ther debut recording during the summer of 2014, and we hope to present more music for you here by the fall of 2014. In the meantime we present for you the first recording of Lone Moai. Please enjoy your time on the internet, and remember to stretch often!